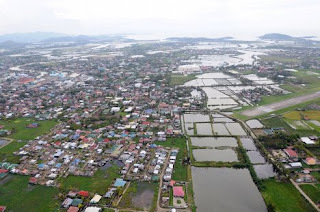 Manila, Philippines (CNN) -- Typhoon Nanmadol is not expected to make landfall in the Philippines, forecasters said Friday, a development that may be cheered in the places that were supposed to be in the path of the powerful storm. The storm was expected to hit the northern Philippines in the next two days the Philippine Atmospheric Geophysical and Astronomical Services Administration said earlier Friday. But later in the day, forecasters said the typhoon is expected to move away from the nation. The storm, known as Mina locally, had strengthened Friday. On Friday morning, it had maximum sustained winds of 150 kilometers per hour (93 mph), with gusts up to 185 kph (115 mph).